Building a strong company culture goes beyond providing after-work yoga classes and free breakfast in the staff kitchen. It’s about building a community setting where people feel welcome and appreciated while they work. Studies show that an increase in employee satisfaction directly correlates with increased profitability. According to the research behind the book How Full Is Your Bucket by Tom Rath and Donald O. Clifton, a 15 percent increase in staff satisfaction at the Walt Disney World Resort resulted in high guest-satisfaction scores that directly led to increased sales. That makes sense: Happy employees perform better than unhappy employees do. Companies often associate employee recognition with traditional monetary rewards, but the secret to employee happiness isn’t rooted in more days off or bigger bonuses, according to an article published on The Muse. Furthermore, a Gallup study reports that an employee needs to feel recognized on a weekly basis for it to have a positive effect on a company’s bottom line, which means finding economical ways to show your employees you care is the only feasible way to go. Acknowledgement shouldn’t exclusively be a top-down affair. 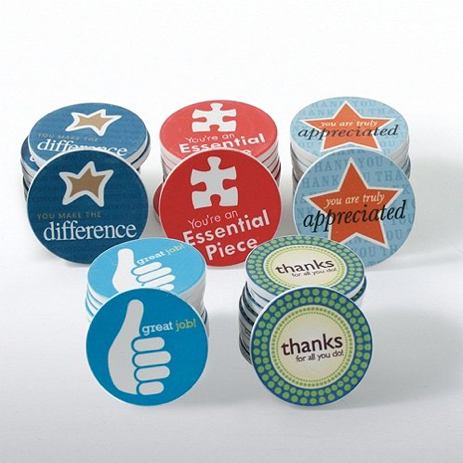 Giving employees the option to commend one another for hard work and good community values with clever thank-you notes or custom sticker badges will help develop a sense of camaraderie while ensuring that good deeds don’t go unnoticed. The awardees can be announced during company meetups, pinned to a “Wall of Praise” board, or mentioned in your company newsletter. Step up the reward game (without stepping up your budget) with custom coupons. 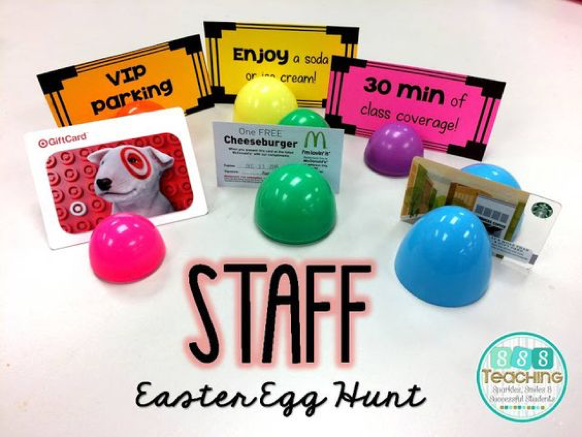 Why settle for one reward when you can give employees a coupon book of prizes? Your coupons can offer things like “Free Coffee,” “Wear Pajamas to Work,” or even “Leave Work Early” – whatever the HR department allows. Lifelong learning is not only good for the person, it’s good for the community at large. According to The Guardian, lifelong learners are happier, healthier, and more engaged with the world around them as they approach old age. Giving people the opportunity to expand their skill sets in the workplace helps build confidence and makes your workforce more versatile. If you offer training to your employees, consider awarding graduates from your courses with certificates or badges they can pin on their cubicle walls to acknowledge the effort they put into expanding their horizons. Employee wellness is a growing priority for companies, according to The Institute for HealthCare Consumerism, mostly because healthier employees lead to improved productivity and lower insurance costs. Some companies have started to provide bikes that employees can use to get around during breaks. An initiative like “Bike Day Wednesday,” for example, where bikers get a $5 gift card to a nearby coffee, burger, or taco place as an incentive, not only encourages positive work relationships but also gets employees away from their desks. Purchasing bikes that will last a few years only incurs a one-time cost and is hundreds of dollars cheaper than getting personal trainers for the office. Millennial workers in particular want to live their values while they’re at work. As Adweek so aptly puts it, “Don’t simply stick a set of values on the walls and on your website.” Your values should be embedded in the way you do business, and giving back to your local community can help workers feel like they are making a difference – which is a wonderful feeling indeed! Whether you’re planning a beach cleanup or working with Habitat for Humanity, document your participants making a difference in the world in photos and pin them on your boards for everyone to see. People nowadays tend to move between jobs much more often than they did fifteen or twenty years ago. It’s rare when someone stays with one employer for five, ten, or fifteen years. Doing so illustrates a level of dedication that should absolutely be recognized. Hiring anniversary gifts are common in many businesses, and even something as simple as printing out a commendation certificate for every year someone is on staff will show your heartfelt appreciation. Most employers don’t keep track of employee birthdays, so employees learn to not expect anything. It is for this reason that doing something as simple as leaving a bag of candies with a birthday card on the celebrant’s desk is enough to make people feel appreciated on their special day. Speaking of special days, there’s a long list of fun holidays to celebrate, so take your pick. Participating in celebrations like National Hat Day or Chocolate Cake Day can break the monotony of work days in between official holidays. These events give your employees something to look forward to and can bring teams together through more personal engagement. The review process at many companies is deeply impersonal. Most people understand the formula, down to the number systems and the “compliment sandwich” technique of delivering criticism. One way to change the culture surrounding corporate reviews is to write a brief personal letter for each person you supervise. 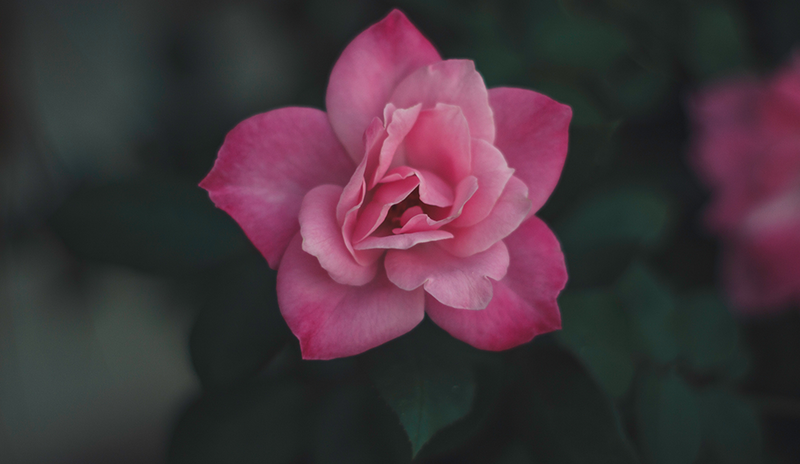 It doesn’t need to be very long, but it does wonders for showing that you care. Giving these letters to employees in printed form adds an extra level of effort and sincerity that they will appreciate. You don’t have to wait for something major to happen before you give out certificates. There are a lot of customizable downloadable templates you can use for just about any occasion. Not sure what your certificate should say? The folks at Baudville have an online list of appreciation messages you can pick from. 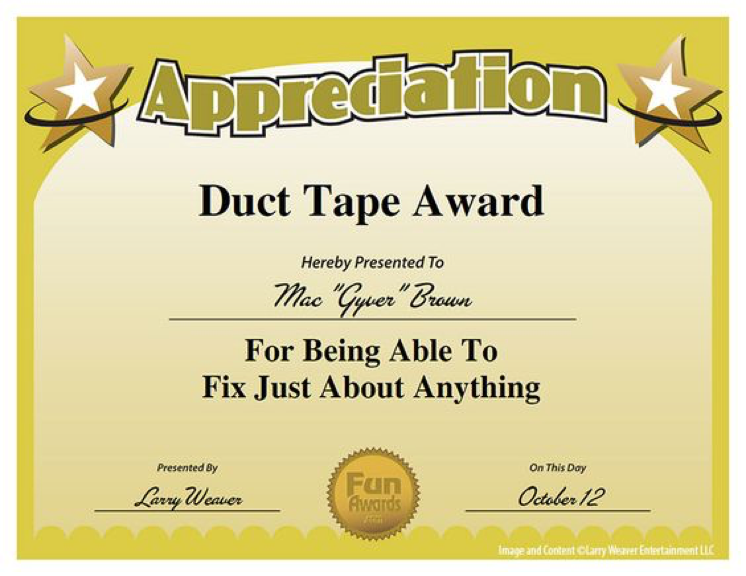 Sure, it’s easy to download a “Certificate of Appreciation” template online, but employees will appreciate more specific custom messages over generic ones. Whoever said print can’t be interactive? 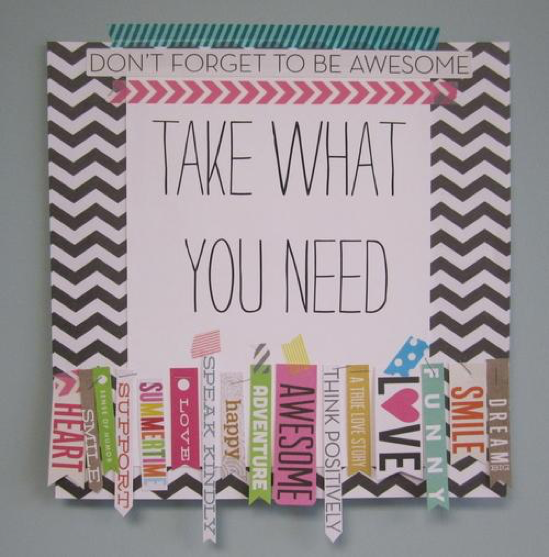 Spread positive vibes around the office with this mood board with tear off tabs. 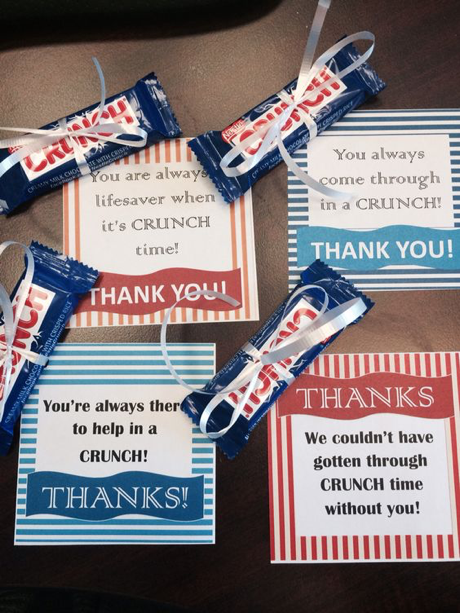 Print out a gratitude-themed board so your employees can give out tabs to those they’d like to give thanks to. 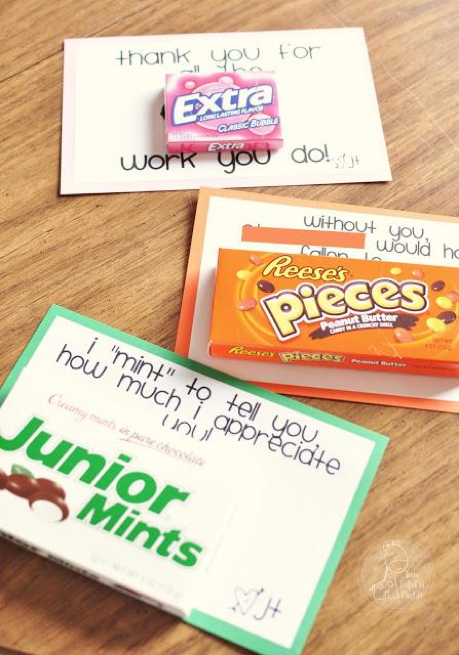 With a bit of creativity and a simple office inkjet printer, you can create personal printed messages and attach them to inexpensive treats or trinkets. This is an inexpensive but very effective way to maintain a positive vibe in the workplace. In addition to the low price point, printed media such as certificates or sticker badges continue to inspire long after they’re received, due to their tangible nature – unlike digital rewards or recognition emails, which lose their motivating power and are forgotten a lot sooner. It’s worth noting that the perceived value of your printed rewards depends on their form and quality. Using thicker paper stock will no doubt produce more valuable printed rewards than using normal office paper will. Using color instead of black and white can also make a dramatic difference in how employees receive your rewards. As much as you may want to keep costs low when printing media for employee appreciation, you should also ensure that your print output mirrors your level of appreciation for your employees’ efforts. People who work at a company they care about – one they feel does good in the world – will produce better results and create a climate that inspires customers as well. Frequently reminding employees that they are a vital and appreciated part of the team gives them a daily dose of inspiration, as well as reassurance that they’re in a good place. In many cases, the old principle is true: It is the thought that counts. Knowing how to give people good incentives and how to foster a culture of support will help you create a workplace in which people feel like they belong. Nicholas Brown is a member of the LD Products content team. Nicholas Brown is a member of the LD Products content team, where he researches and writes about the ways individuals can cost-effectively utilize printing technology for improved efficiency at home and in the office.